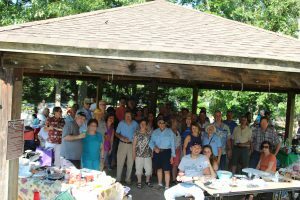 The Abruzzo and Molise Heritage Society (AMHS) holds a number of events and activities including 6 general Society meetings per year, including a wine tasting; the annual Ferragosto picnic; and Carnevale. 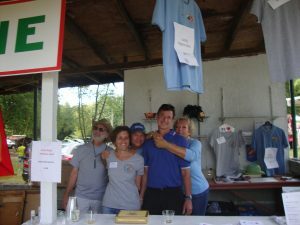 These events are sponsored by AMHS or held in conjunction with other Italian American organizations. 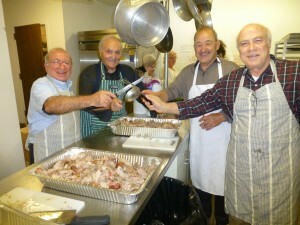 AMHS also helps to promote the events and activities of other Italian American organizations in the Washington, DC area. The next AMHS general Society meeting is scheduled for Sunday, June 9, 2019, 1:00PM at Casa Italiana Sociocultural Center. Please join us for a wonderful program of interest to both history buffs and those who just love a good story. “Bitter Chicory to Sweet Espresso” is the title of the book by our speaker, Professor Carmine Vittoria. It tells first-hand the author’s experiences growing up in a small town near Naples during World War II. The real-life stories of the author’s family members and boyhood friends are inspiring, and they surely illustrate the Neapolitan saying “ci arrangiamo” (“we adapt to survive”). There will be a business portion of the meeting prior to lunch and the program, to include presentation of the Society’s restated by-laws. We will also hold a raffle. Price, $20 for members; $25 for non-members. See below for details on how to register (online or by check). RSVP deadline is 5:00PM on June 6. Late registrants will be charged the non-member rate.